This yet-to-be-built Tony Spano home is located in the popular Tuscan Sands subdivision at Barefoot Resort and Golf. Exterior details will include a tower entry into an open living floor plan. 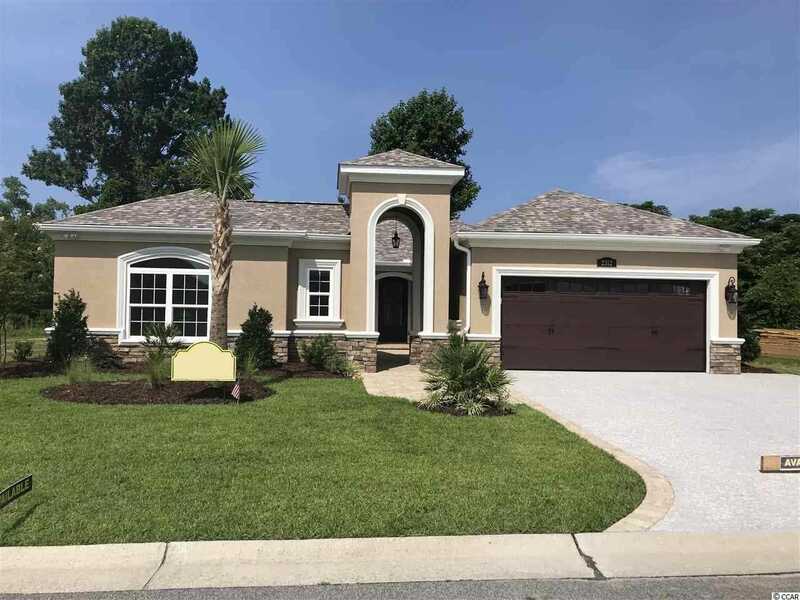 With over 2,500 square feet of living area and nearly 3,500 square feet under solid roof this Mediterranean style, single level home will provide a generous amount of living space. From the kitchen's custom cabinetry, stainless steel appliances, electric cook top, and custom hood to the Master Suite and Bath's double sinks, spacious garden tub, and luxurious walk-in shower, this house will exude quality craftsmanship. As an added bonus, this is one of the few properties remaining with a buy-in to The Dye Golf and Country Club. If you are looking for a house built with extra care and excruciating attention to detail, this is it. (Photo of home is photo of a demo property). SchoolsClick map icons below to view information for schools near 2109 Via Palma Dr. North Myrtle Beach, SC 29582. Listing provided courtesy of A.S. General Contracting, Inc..